The bugs could crash some popular games, but from Microsoft's perspective, it's all part of the beta-testing journey. 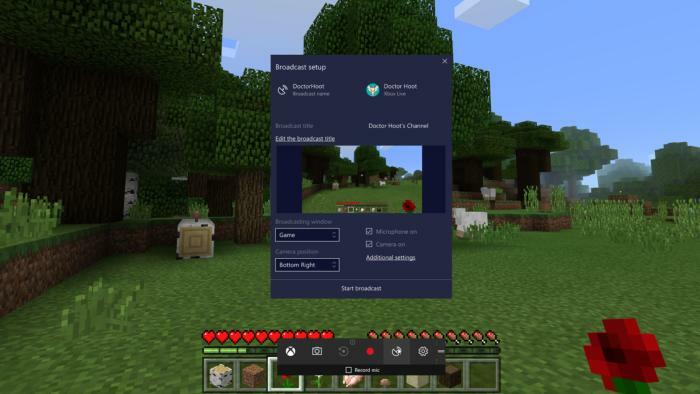 The gaming-focused Windows 10 Insider build that Microsoft promised earlier this week, with Game Mode, Beam livestreaming and other features, is rolling out—but with some game-breaking bugs, unfortunately. What’s officially known as Build 15019 for the Insider Fast Ring also includes a number of more general improvements, including a version of Edge that will read your ebooks aloud and a better out-of-box experience, complete with voice actors to guide you through the process. If you’re hoping to try out the new PC-centric Game Mode for yourself, though, be wary: Microsoft warned that unspecified “popular games” may experience crashes or black screens when loading, and clicking on certain elements in a Win32 game may cause it to be minimized (and therefore unplayable) unless killed. Even the new Game Mode will show up as OFF when in fact it’s enabled by default. 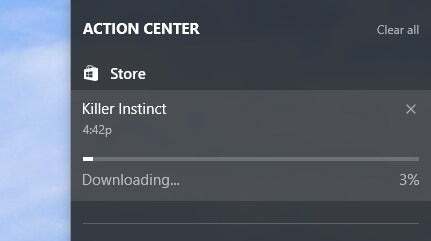 Also, be aware of one download glitch: The issue Microsoft had with its progress bar is still there, so the download will still show “0% completed” even when it’s actually downloading. 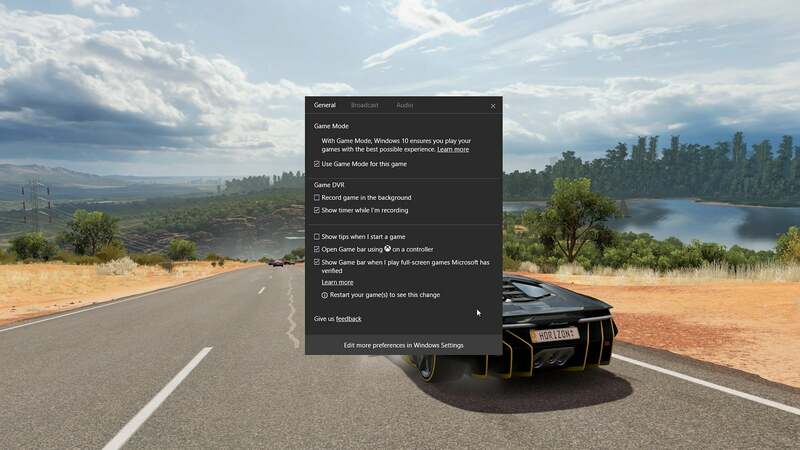 Windows 10’s new Game Mode settings, which are designed to optimize your PC for gaming. Game Mode: a specific mode for the PC that minimizes the resources other background tasks have at their disposal, giving the game all of the resources your PC can spare. My colleague Brad Chacos has outlined what Game Mode does for your PC. The Windows Game Bar now supports 17 more games in fullscreen mode, including Battlefield 3, Call of Duty Black Ops 2, FIFA 14 and FIFA 17, Rocket League, and more. Gaming Settings: Microsoft has consolidated gaming controls for Game Bar, GameDVR, and more into a Gaming section in Windows 10's Settings. Beam livestreaming: Microsoft bought Beam and its livestreaming technology last year to take the games you’re playing on Windows 10 and the Xbox and broadcast them to others on the Internet. You’ll be able to trigger the Game Bar (Win + G) and show others how fast you can drive in Forza Horizon 3. Action Center now keeps tabs on your games. 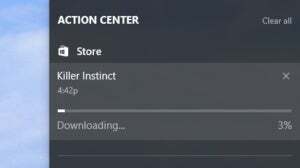 Microsoft also revealed a small additional convenience: If you buy a game from the Microsoft Store app, you’ll be able to track its download progress in the Action Center notifications. The company also fixed a bug that would crash the display controller if an Xbox controller was attached, and another that could cause the screen to flicker if a player used Alt + Tab to change focus to another window. With build 15002 and the latest build 15019, you can be working away at another PC while Cortana’s voice asks you if you’d like to accept the default options and other questions. It’s fun to holler “Yes!” and keep typing. At one point during build 15002’s reset process, Cortana’s voice was replaced by a more robotic text-to-speech voice. That’s been fixed, with additional voice acting in place to maintain a consistent, pleasant tone. 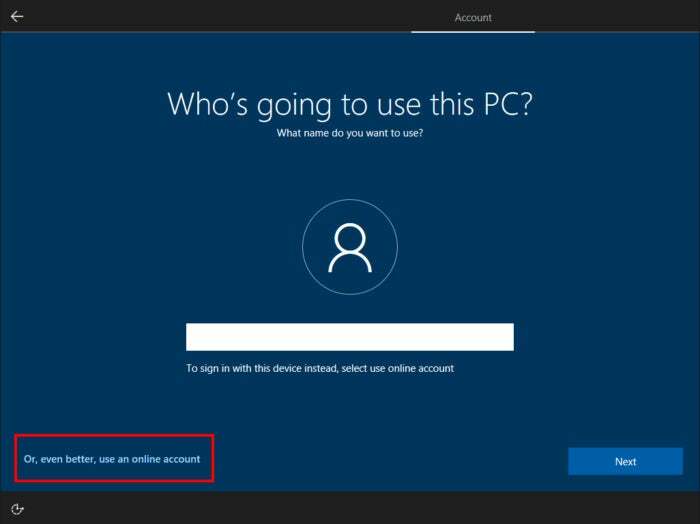 A bit of spit and polish has updated the UI, including the way in which you sign in with a Microsoft account. Windows Hello enrollment, which simply asks you to smile at the camera for a second or two, has also been updated. 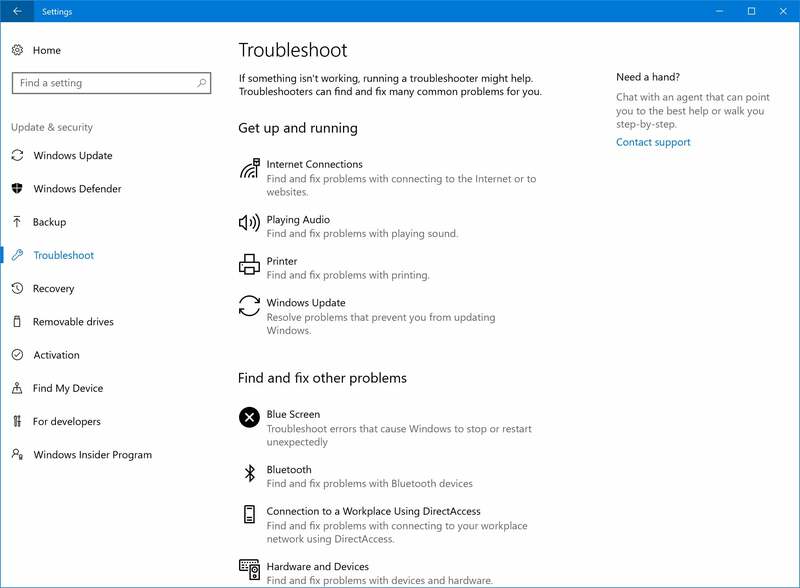 I have sporadic issues at my home office where my Wi-Fi connection needs to be reset, requiring me to right-click my Wi-Fi icon on the Taskbar and launch the troubleshooter. 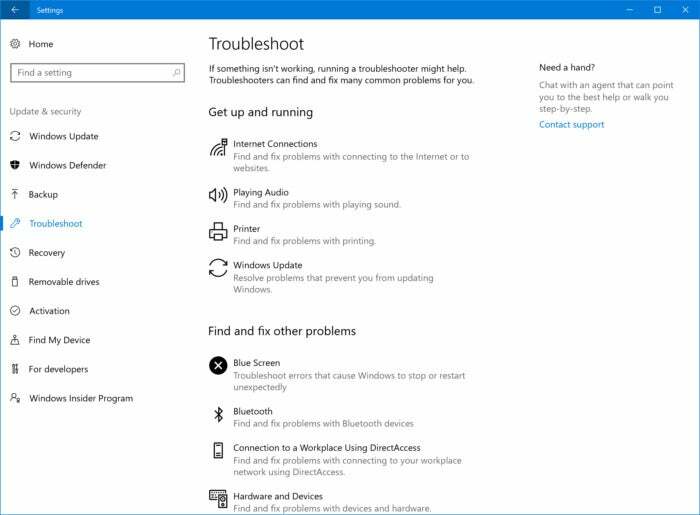 For Build 15019, Microsoft’s grouped all of the Troubleshooter options inside Settings > Update & Security > Troubleshoot so you can see the complete list, including tools for resolving printer issues, Windows updates, Bluetooth, and more. A new “read aloud” button in Microsoft Edge will read ebooks stored in Edge in 24 languages. 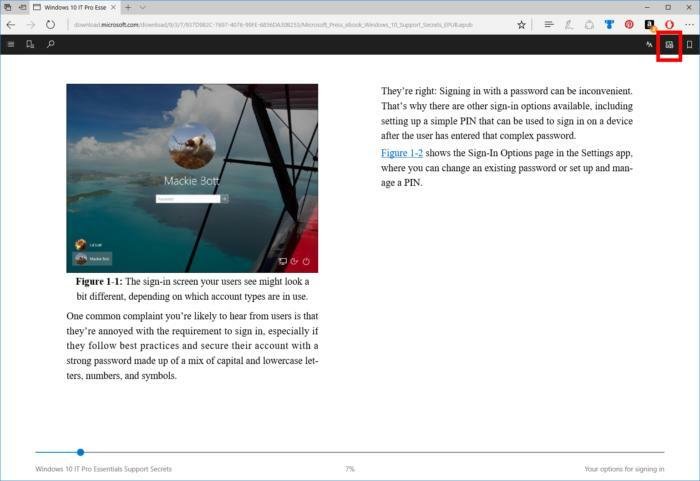 Edge’s new “read aloud” interface. Full-color emoji, on those sites that use them. If you use the Hyper-V feature to create virtual machines, you can now resize the window and the guest OS will rescale the resolution appropriately.